Adobe Flash Player is always a bigger target for hackers, and in fact it is always riddled with a range of security flaws and vulnerabilities. 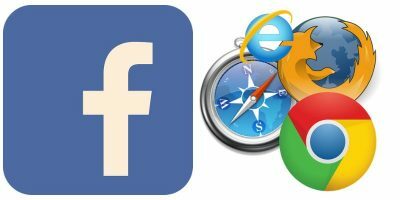 Even with all the mess, most of us still use it because there are many websites still serving Flash content that have no desire to switch to HTML5. That being said, Flash isn’t absolutely necessary anymore, and we can happily live without it. 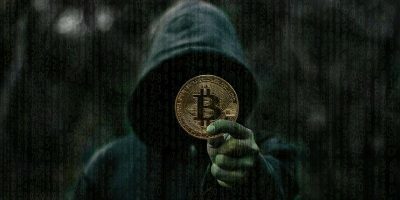 With the recent Hacking Team incident, it is even more evident that you should disable Adobe Flash on all your browsers to be safe from future attacks. Note: the following actions only disable flash in your browsers. It doesn’t remove Adobe Flash from your computer if you have it installed. 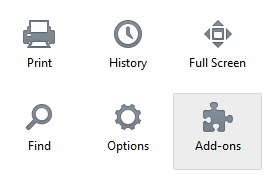 The above action will open the Firefox Add-ons page. Since we want to disable the Adobe Flash Player plugin, select the “Plugins” option on the left sidebar. Once the plugins page has been opened, scroll down and find the “Shockwave Flash” plugin, and select the “Never Activate” option from the drop-down menu. You have successfully disabled Flash on your Firefox browser. Just restart the browser, and you are good to go. Google Chrome came shipped with its own version of Flash. Its recent builds have disabled Flash by default, but you can activate it on demand. However, if you want to disable Flash completely, Chrome provides a straightforward way to disable Adobe Flash. To start, enter the URL chrome://plugins in the address bar. 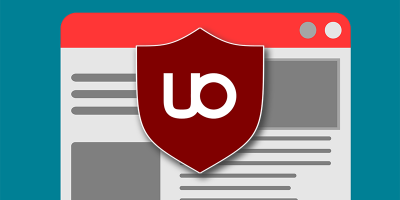 The above action will open the Chrome Plugins page. Here, scroll down and find the “Adobe Flash Player” plugin, and click on the “Disable” link. You’ve successfully disabled Flash Player in your Chrome browser. Just restart the browser, and you are good to go. 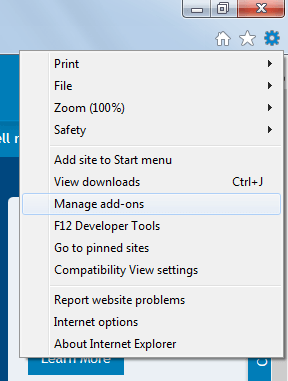 To disable Flash in Internet Explorer, open the “Settings” menu by clicking on that little gear icon located in the upper right corner and selecting the “Manage Add-ons” option. The above action will open the Manage Add-ons window. Here, select the “Toolbars and Extensions” option appearing on the left side. Now find the extension “Shockwave Flash Object,” right click on it, and select the “Disable” option. You’ve successfully disabled Flash in your Internet Explorer browser. 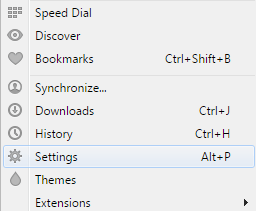 To disable Flash in the Opera browser, click on the Opera button appearing in the upper left corner and select the “Settings” option. 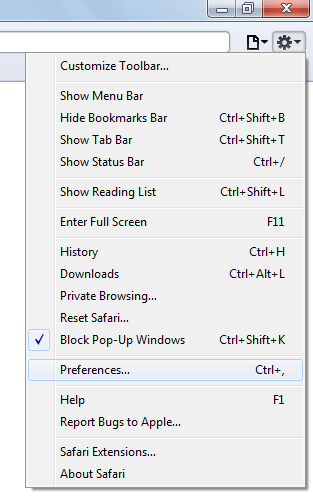 The above action will open the Opera Settings page. 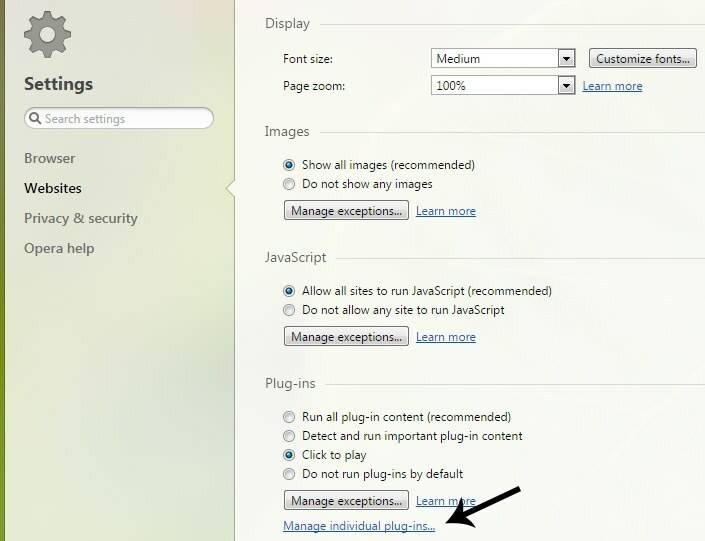 Select the option “Websites” appearing in the left sidebar, and click on the “Manage individual plugins” link under the Plugins section. Once the plugins page has been opened, find the “Adobe Flash Player” plugin and click on the “Disable” button. You’ve successfully disabled flash in your Opera browser. To disable Flash in safari, click on the “Settings” icon appearing in the upper right corner, and select the “Preferences” option. Once the Preferences window has been opened, navigate to the “Security” tab, uncheck the “Enable Plug-ins” checkbox, and close the Window. One thing to keep in mind is that the above action will disable all the plugins. That’s all there is to do. You’ve successfully disabled flash in the Safari browser. That’s all for now and hopefully that helps. Do comment below sharing your thoughts and experiences about Flash and its regular vulnerabilities. I disagree, Flash is necessary in many sites. Sorry, but Flash is *not* “necessary” at all. 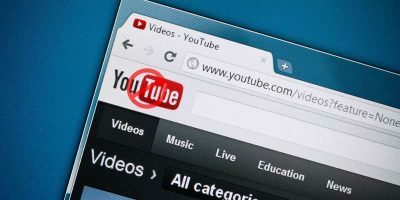 Traditionally, the biggest site that has required Flash has been YouTube, but all of their video’s play with HTML5 these days, proving that Flash is *not* “required”. 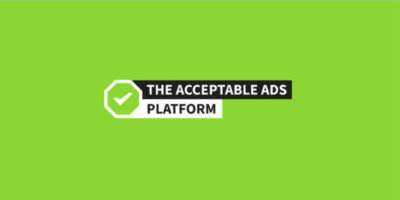 All that is needed is to convince website owners to get off their lazy arses and make the change. So great, I disabled flash in Firefoy installed shumway and I cannot see a certains websit Webcam. The alternative is HTML5, which is supported by all the major web browsers. Actually, it’s even easier than you guys think. According to a tweet from a member of the Firefox development team, Firefox now, by default, automatically disables all versions of Flash. I originally thought he meant that a version was disabled as soon as an exploit for that version was discovered, but the day after his tweet, I upgraded to the newest version of Flash released just that morning, to discover that Firefox had disabled it. So, who knows…either way, Firefox is taking care of it for us.